A late Craig Clay goal saved a point for Orient as they battled out a 1-1 draw with National League leaders Dover at a packed Brisbane Road. A super attendance of 4,548 were to attend a match that saw the O’s without manager Steve Davis for the first time following his dismissal earlier in the week, That is 6 Leyton Orient managers in just over a year now and you could be forgiven for remembering the names of all of them so swift has been the turnaround. However something had to change and although it seems harsh Davis seemed to be losing the plot towards the end of his short reign with too many player changes each game, players low on confidence, players playing out of position and Davis not settling on a strict formation. Every week there seemed to be changes galore and the team could not settle into a rhythm and a permanent shape. With Matt Porter speaking of his disappointment prior to the Ebbsfleet match that saw yet another defeat perhaps it was no surprise that Davis was given his P45. As one wag pointed out ‘Playing at the Matchroom Stadium maybe it would have been better if we had got Steve Davis the snooker player in to manage the O’s. You can see Orient’s game has gone to pot’. Ross Embleton and Dean Brill have been put in caretaker charge for the forseeable future and up against a team in Dover who have been playing some wonderful football and gracing the summit of the league, the two caretakers holding the fort will be reasonably pleased with their players attitude and general mindset throughout the game. The crowd certainly got behind the O’s and that was important as the players adapted to a new system and line up again under new command. Embleton and Brill made four changes to the team which lost 2-1 at Ebbsfleet United last weekend. Joe Widdowson, Craig Clay, Jobi McAnuff and Macauley Bonne returned with Mark Ellis, Zain Westbrooke, David Mooney and Matt Harrold dropping to the bench. The O’s were forced to make a late change to the team though when keeper Charlie Grainger injured his hip in the warm-up. So Sam Sargeant, 20, was handed an opportunity to show what he could do after demonstrating his potential last season. After a bright start in the miserable East London weather Dover had the ball in the net after 20 minutes when Manny Parry rolled in after Sargeant had dropped the ball however referee Joe Hull correctly adjudged the Dover defender to have fouled Orient’s goalkeeper and it was ruled out. If that was a warning for the home team then they didn’t take heed as pushing forward Dover’s Alabi held off Widdowson and found Nortei Nortey unmarked in the area and Nortey curled past Sam Sargeant from 12 yards. The hosts went close a couple of time before the break but went in for a cuppa 1-0 down. Brophy then embarked on a mazy, solo run in the 58th minute, going past four rivals, but he was eventually halted in his tracks however it did seem to bring the O’s fans out of their shells and Orient went close in the 59th minute when Bonne’s header at the near post forced Walker into a top class save. Orient were putting in a good performance all round and got exactly what they deserved with an equalizer 12 minutes from the end. Craig Clay and James Dayton combined wonderfully in the middle and Clay cut back inside the penalty area and let fly with his low shot deflecting off Essam and ending up in the back of the Dover net for a goal apiece and that’s how it finished. The draw leaves Dover still top of the table by a point on 37 points from the chasing pack of Wrexham, Sutton United and Macclesfield all on 36 points. Dover do have a far superior goal difference of +14 however due to their pummelling of many teams below them this season so maybe under new leadership this wasn’t too bad a point for the O’s. 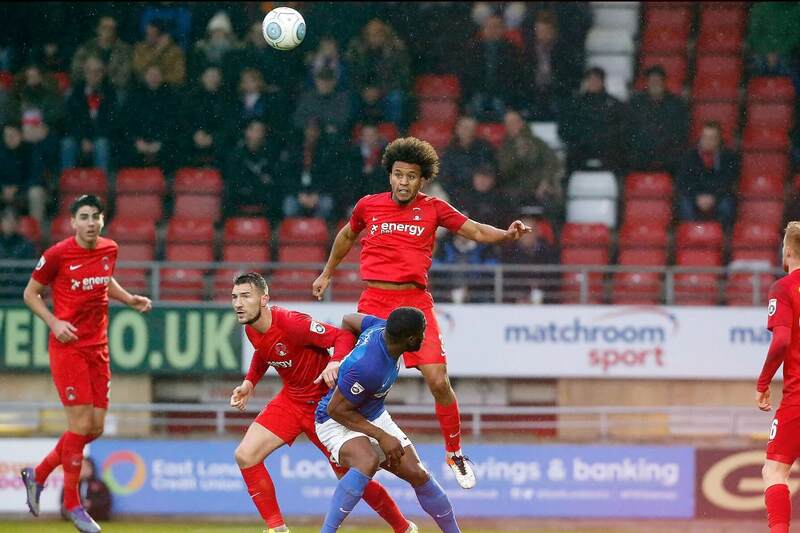 Leyton Orient remain in 19th place looking down on only 5 other clubs as both Chester and Solihull Motors grabbed a point but Barrow nabbed a win at Eastleigh to strive within touching distance of the O’s. 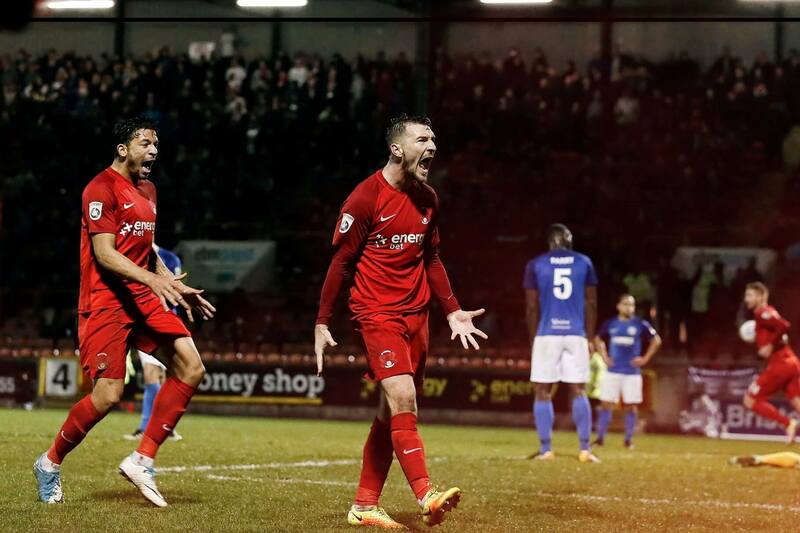 The draw still leaves Leyton Orient just three points above the relegation zone.